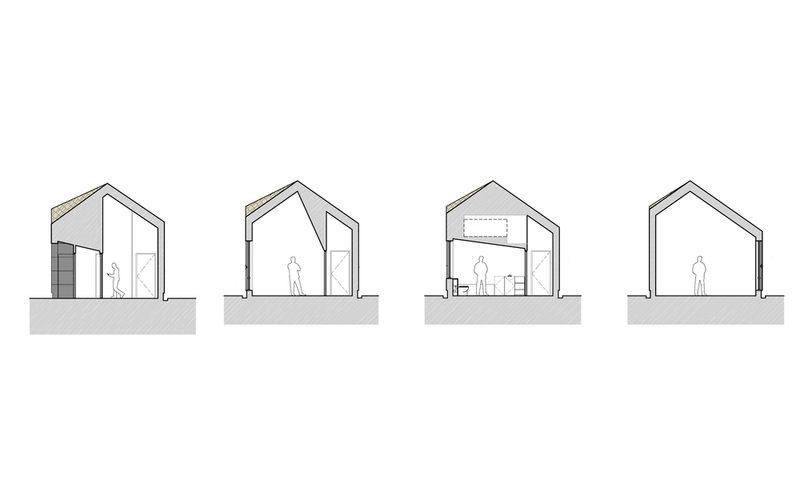 These are prototypes for rural houses where typically more land is going spare than in urban areas, allowing all rooms to be at ground level and directed towards the view with less concern about privacy. They have been designed with a budget similar to those used in the affordable housing sector and to Scotland’s ‘Housing for Varying Needs’ standard. The bedroom and kitchens face one way, living and dining areas face the other to make the most of the different directions of morning and afternoon sun. 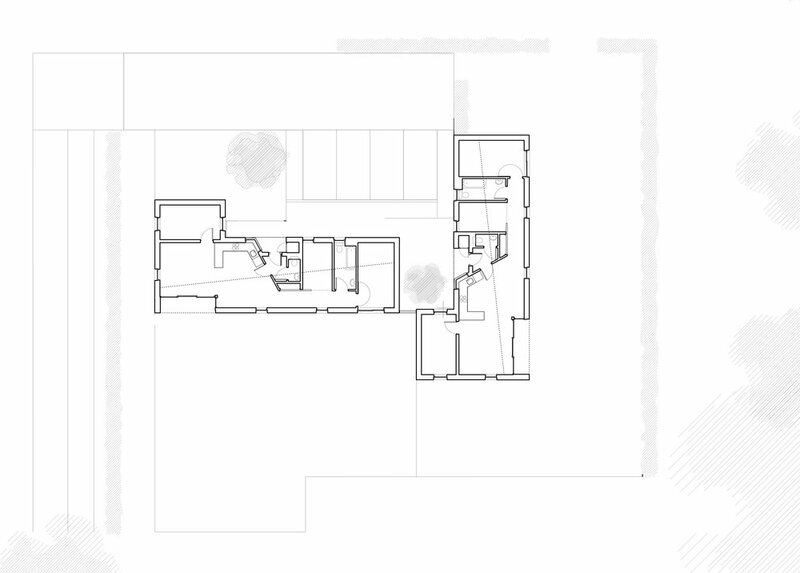 The plan’s ‘L’ shape means that the houses be arranged so that they interlock, forming a small entrance courtyard which shelters the recessed porch from prevailing winds. The skewed roof ridges continue the twisting and pivoting effect of the composition and the ceilings within the houses themselves rise and fall to create a dynamic spatial arrangement. The exterior walls are clad in cedar shingles, which have a natural pleasant aroma. The houses demonstrate how energy efficiency can be achieved by simply adapting a technique such as timber frame, which is used extensively in Scotland. We think it’s best to get the basics right first before resorting to adding renewable energy devices, so our focus has been to get the best energy performing building ‘envelope’ that we can within the modest budget, and then use a renewable source to supply heat only when really necessary, for example the air exhaust heat pump, which exploits the temperature differential between inside and outside by exchanging heat in the air to heat in a water circuit. This heated water is then used to supply the underfloor heating system and domestic hot water for the properties.